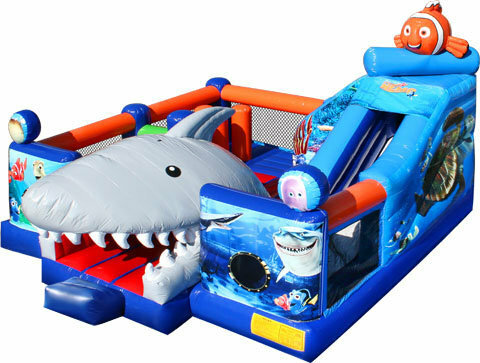 The Finding Nemo Obstacle Challenge begins by entering through the jaws of Bruce the great white shark! There are several activities inside such as a slide, obstacle course, pop ups and hurdles. This inflatable is perfect for your next event or end of year presentation! $900 for 4 hours and $110 for each additional hour - includes a Jumpabout supervisor.